Kyle Smith at the New York Post shreds director Oliver Stone's Snowden, a film bio about NSA leaker and traitor Edward Snowden. 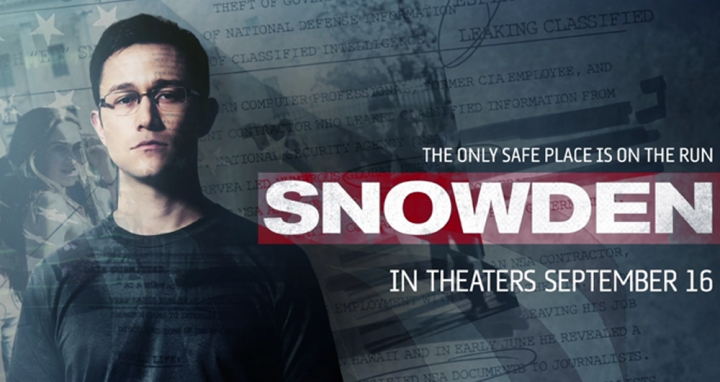 “Snowden” could have been a character portrait, but instead it’s like “The Bourne Identity” minus the chases and fights, which is like a ham and cheese sandwich minus the ham and cheese. As a consequence, I suspect, this film will make no bread. Edward Snowden (strenuously played by Joseph Gordon-Levitt), after washing out of the military with a broken leg, becomes a spy with the NSA. He steals secrets about stealing secrets and hands them to documentarian Laura Poitras (Melissa Leo) and journalist Glenn Greenwald (Zachary Quinto) of the Guardian at a clandestine meeting in a Hong Kong hotel room. That act, which is unnecessarily drawn out with much squabbling about newspaper deadlines and yipping about whether anyone is on the trail, forms the drab centerpiece of a movie filled out with flashbacks. Accompanied by his stripper girlfriend (Shailene Woodley) and advised by two NSA mentors (Rhys Ifans, Nicolas Cage), Snowden emerges in sickly green monitors, data reflected in eyeglasses and a tech-music soundtack (bleep! blurp!) left over from a mid-’90s Sandra Bullock thriller.